Manchester has a huge student population (over 85,000!) so there is no shortage of things to do and places to go. Many businesses offer a student discount and there are deals, events, experiences and nights out specifically catered for students. Manchester has earned the nickname of the ‘music capital of the UK’, and with its thriving music scene, it really is an inspirational place to study – especially if you are enrolled on one of our audio courses! Home to the largest indoor arena in Europe, The Warehouse Project, Park Life Festival and a myriad of live music venues – Manchester has produced, and plays host to, many of the biggest and best bands in the world. For more information take a look at our guide to venues in Manchester. 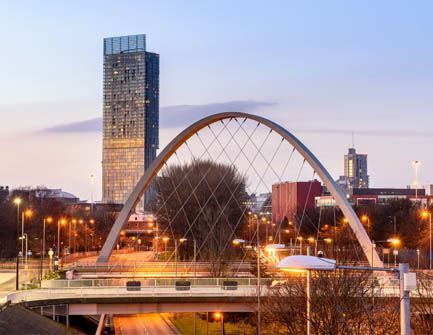 Manchester and its neighbouring city, Salford, are home to Media City; a hub of events and creative activity. It is also home to both ITV and the BBC and some of the most creative production and post-production houses in the UK, creating opportunities for some outstanding media links and making it an even better place to study one of our Film or Visual Effects courses. There are many galleries and museums in Manchester exploring many walks of life and culture, including MOSI, People’s History Museum, Manchester Museum and the city has a vibrant, colourful and lively community of artists of all media, including numerous indie game studios. If you are enrolled on one of our games courses, gamer events such SuperByte, Manchester Comic Con and Play Expo should help to inspire you! For information about local galleries and museums check out our factsheet. Manchester offers superb sports facilities for students to either spectate or use. Home to two of the biggest football clubs in the world (Manchester United and Manchester City) and the National Football museum, Manchester is a football lover’s dream. Manchester Aquatics Centre is located in the heart of the city and Old Trafford Cricket Ground plays host to many world class cricket matches. For keen cyclists, Manchester Velodrome is easily accessible, with the National Indoor BMX Arena right next door. 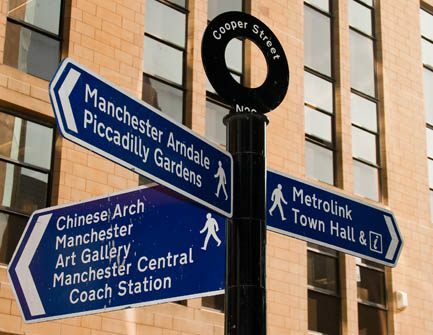 Manchester has an infamous reputation for an energetic and vibrant nightlife and has a huge range of different bars, clubs and places to socialise. There are student nights, cocktail bars, karaoke lounges: all catering for all types of styles, tastes and music. From Fab Cafe’s science fiction themed bar, to Matt and Phred’s Jazz Club, there is somewhere for everyone. Traditionally, students head for Oxford Road which is home to a variety of student pubs, clubs and venues, but both the Northern Quarter and Canal Street are also worth heading to for a great night out. Comedy fans can head to the Comedy Store on Deansgate Locks or the Frog and Bucket comedy club in the Northern Quarter. There are two main cinema chains in the city and also an independent arts venue which is well worth a visit. We also have great quality theatres showing a wide variety of productions. There is so much live music around Manchester that we are spoilt for choice! From the large venues such as the 02 Apollo, Manchester Central, Bridgewater Hall and Phones4u arena offering large scale gigs, to more intimate venues such as Deaf Institute, Albert Hall, Big Hands and Soup Kitchen, there is always a chance to enjoy some live music. For more information take a look at our guide to nightlife. No matter what your style, Manchester has hundreds of shops for you to browse. These can be found in the vintage boutiques in the Northern Quarter and Afflecks Palace, world renowned designer shops on King Street, high street chains on Market Street and the two large shopping complexes – the Arndale Centre and Trafford Centre. Many shops offer a discount for students too, just ask! You can have a look at some more information in our factsheet about the local shops. 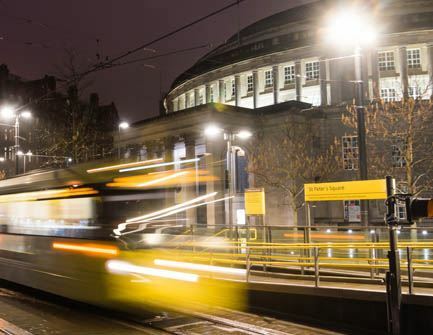 Manchester has great transport links, many of which offer low student fares. The Metrolink is a quick way to get around the main areas of the city which aren’t in walking distance, there are buses to and from the main student living areas, and, just to make life even easier for you, there are three free buses which run though the city centre and directly past the Futureworks campus. There are also local train stations in the city centre offering local and UK travel and plenty of NCP and private car parks if you’re driving.